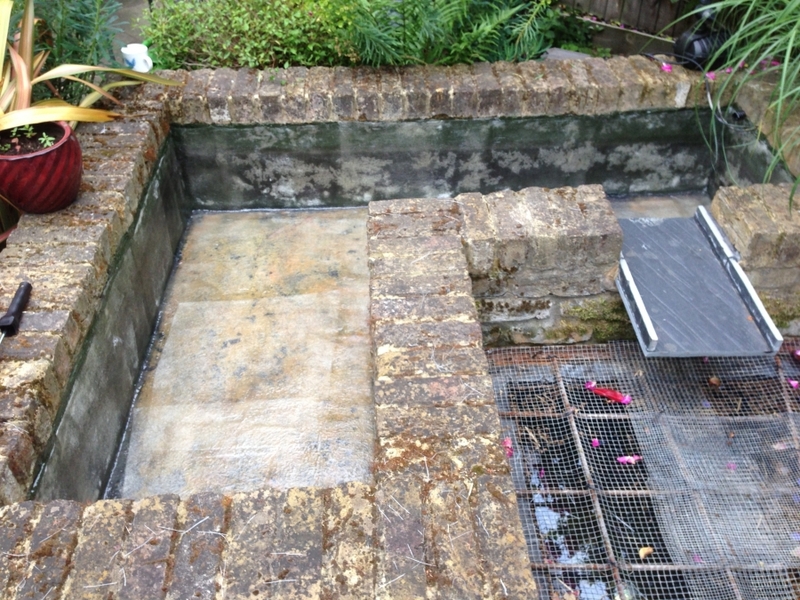 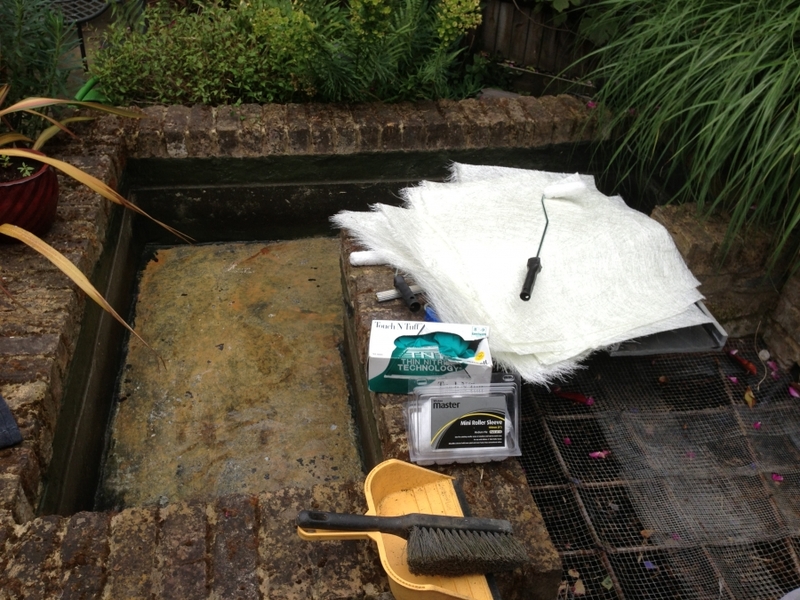 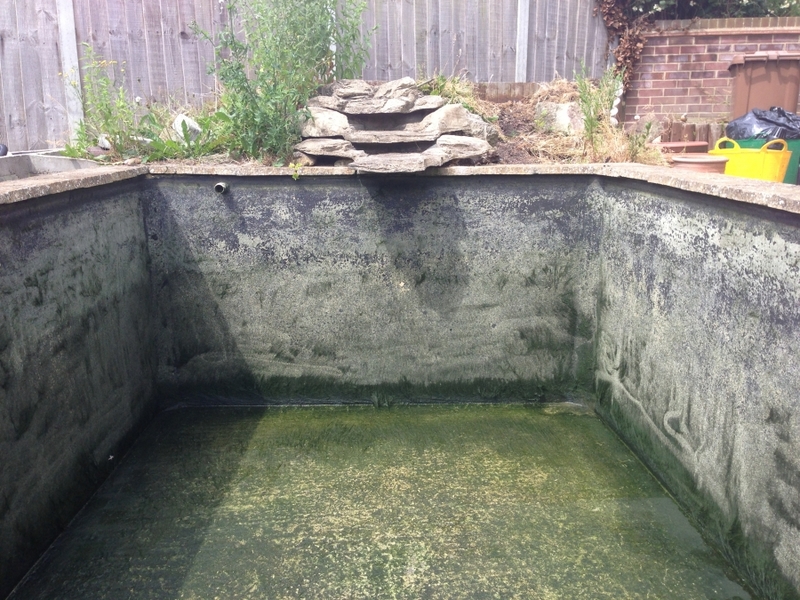 Butyl or Firestone liners are often the choice for the garden pond or a pre formed fibreglass pond is a quick and easy solution to get a size and shape however, if you want your own design of pond and something that will give it the wow factor then our fibreglassing service could be the answer. 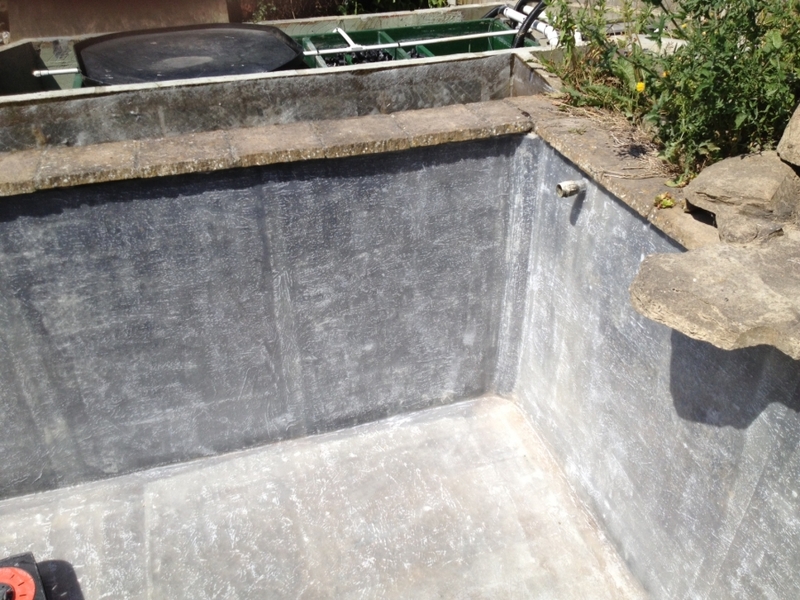 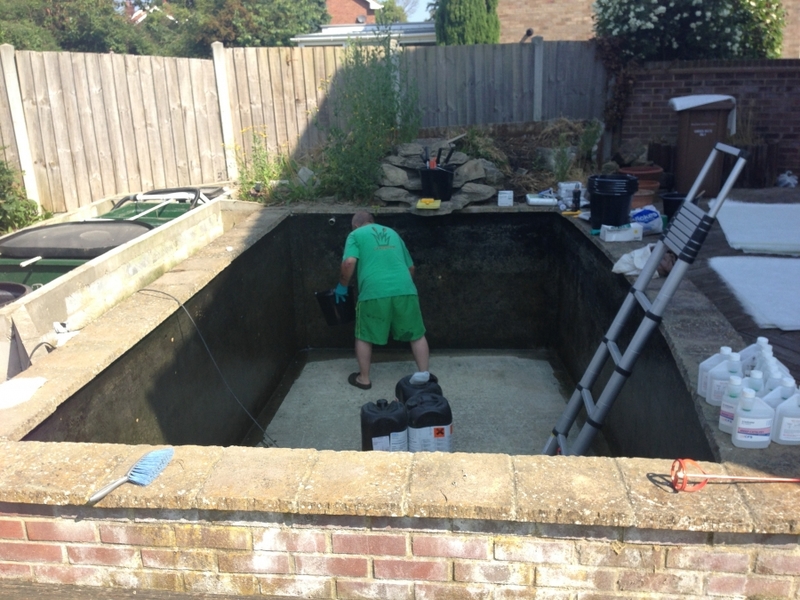 Once the pond has been dug, the walls have been built, the surfaces rendered to make them nice and smooth (the smoother the finish the better the fibreglass will look) and it has all dried out its time to carry out the fiberglass work. 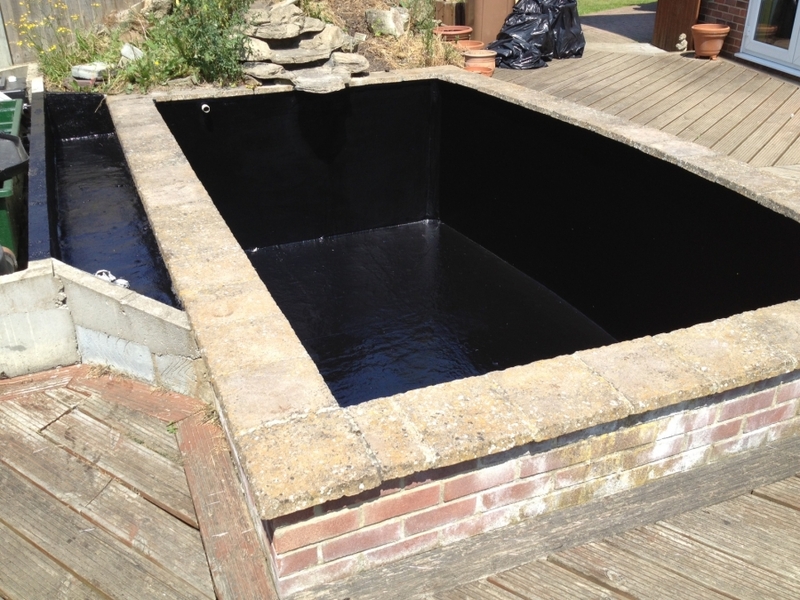 We will come to the pond and give everything a once over then apply 2 coats of 450gsm matting coated with resin and wait until dry. 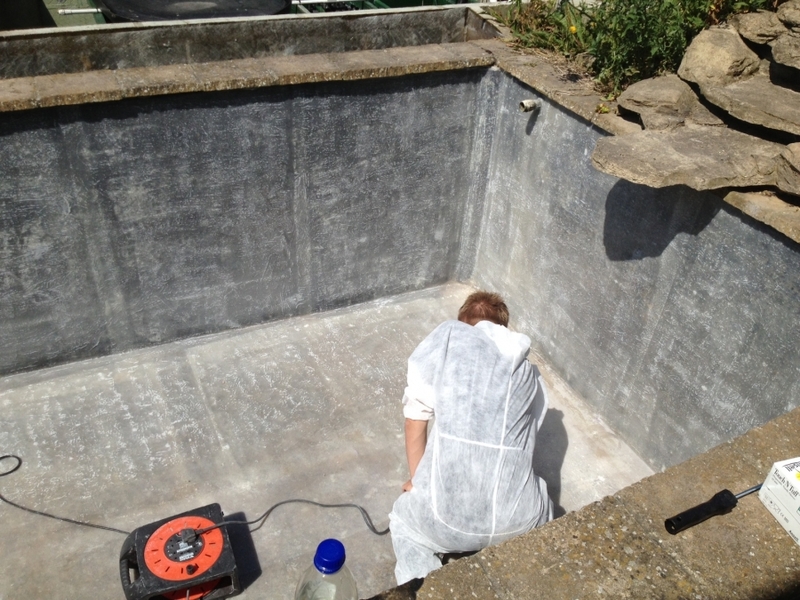 Once dry the surface will be sanded down to take away any imperfections and then all dust will be removed. 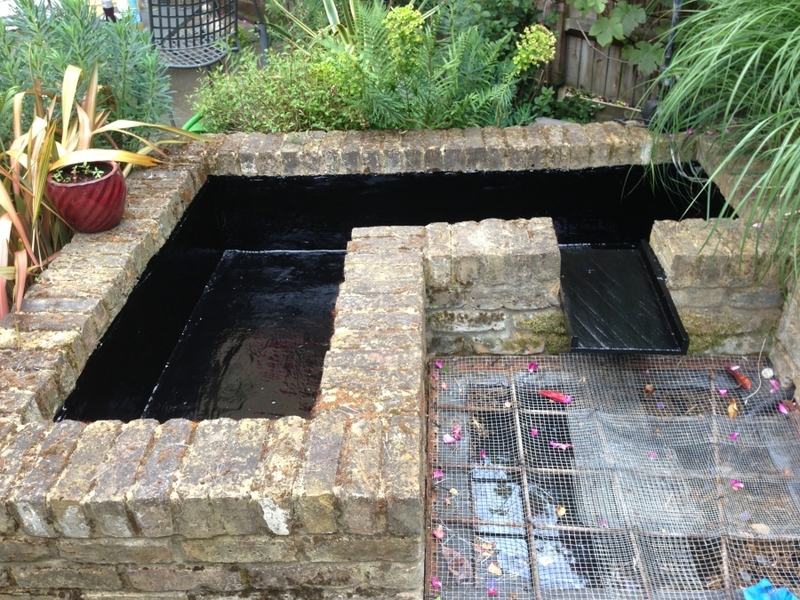 After the area has been cleaned thoroughly we will apply a top coat in the colour of your choice which is normally black or British racing green for koi ponds however, the choice of colours is unlimited. 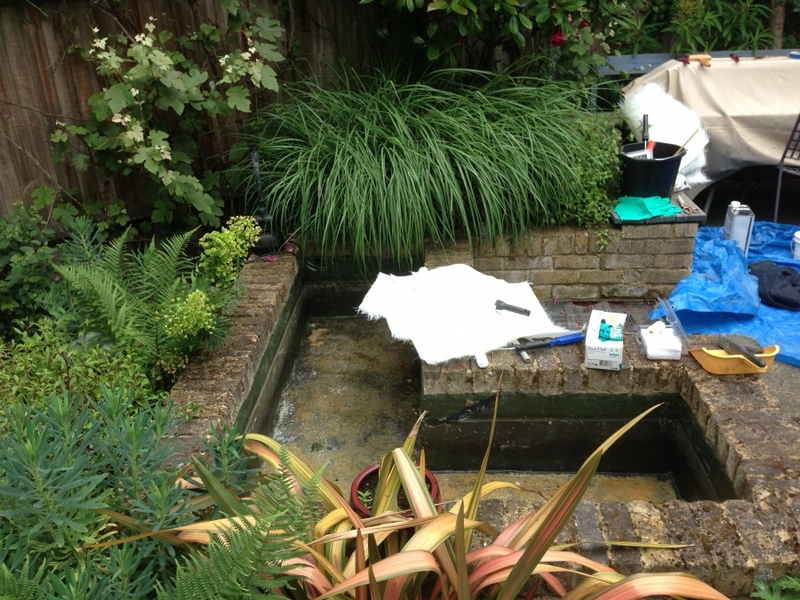 The top coat must be left to dry thoroughly prior to filling the pond up. 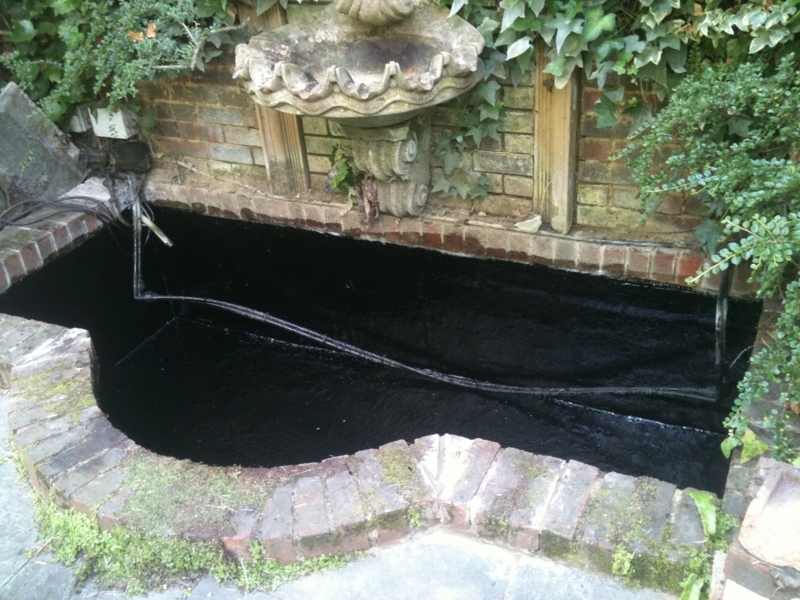 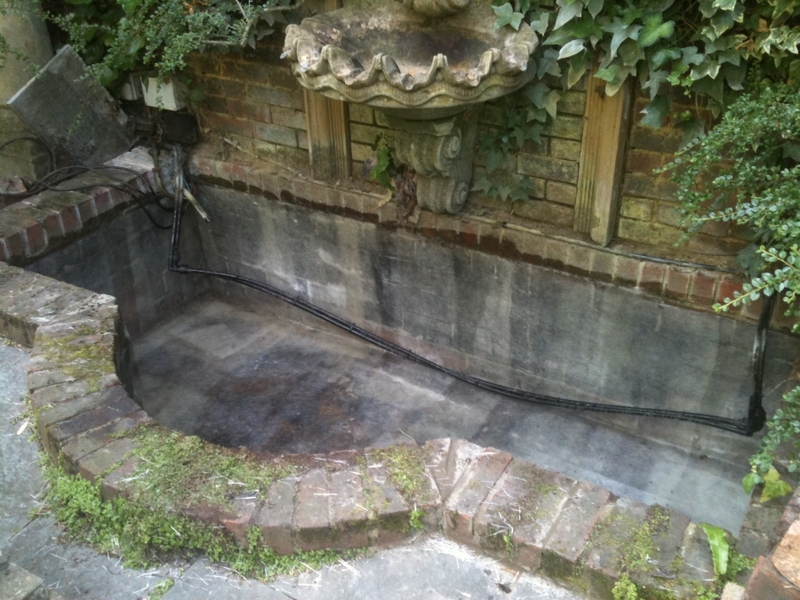 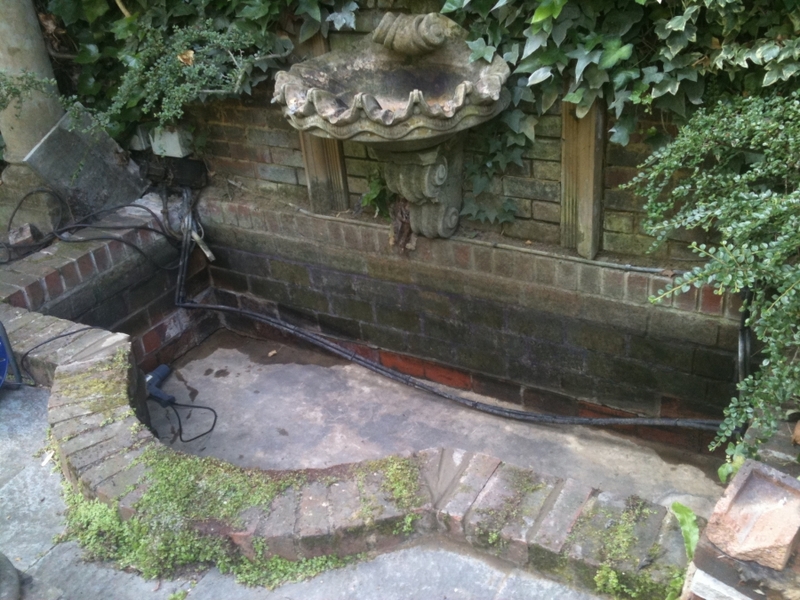 The above process will give you a leak free pond or water feature for many, many years.